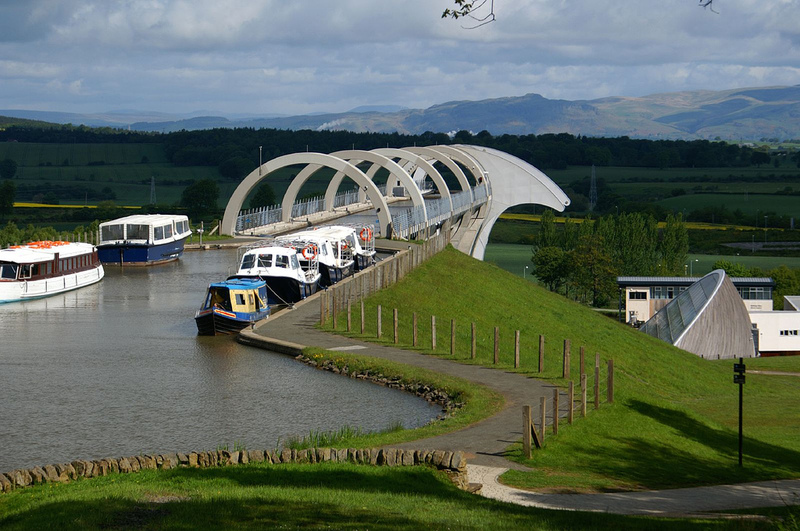 The Falkirk Wheel, constructed in Falkirk, Scotland in 2002, was developed to connect the Forth and Clyde Canal and the Union Canal so travelers could easily navigate through central Scotland. 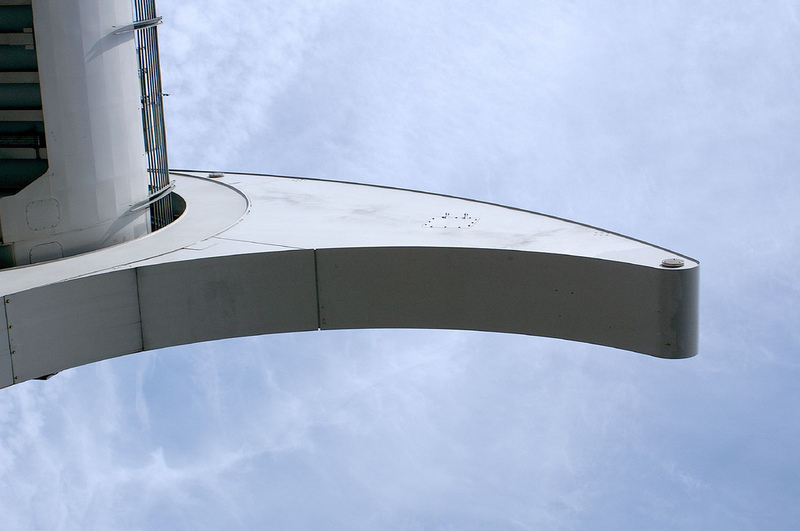 After consideration was given to several designs including a see-saw-like structure and a rolling eggs structure, a rotating boat design was chosen. 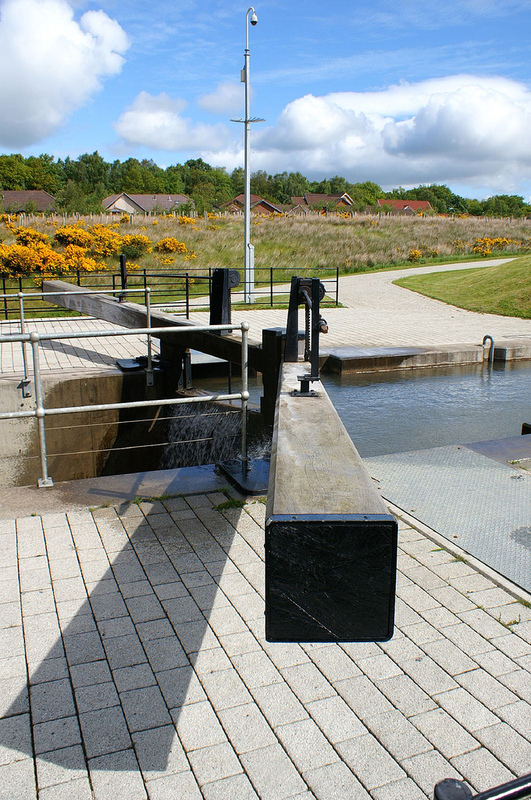 British Waterways, Morrison-Bachy-Soletanche, and specialists from Butterley Engineering, RMJM Architects, and Ove Arup Consultants engineered a one-of-a-kind rotating boat lift to connect the two canals. 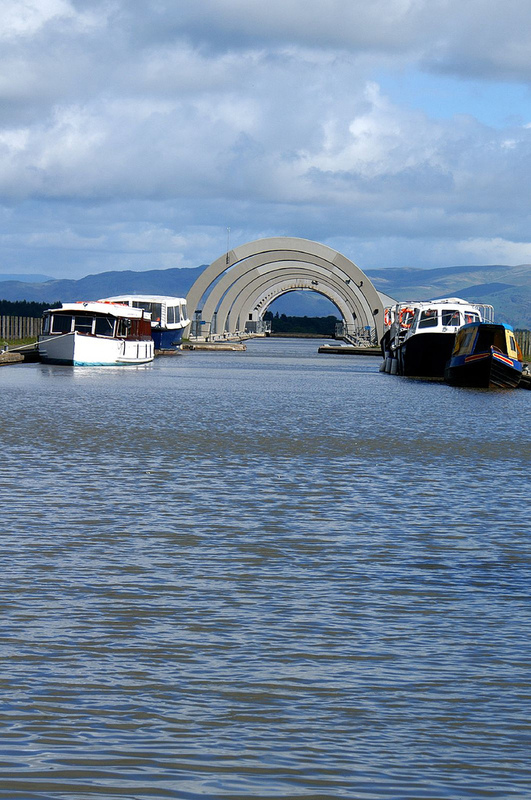 The 1,200 tons of steel used to construct the Falkirk Wheel were first assembled in Butterley Engineering’s Steelworks in Derbyshire, Scotland, then dismantled and shipped to Falkirk where the wheel was reassembled. 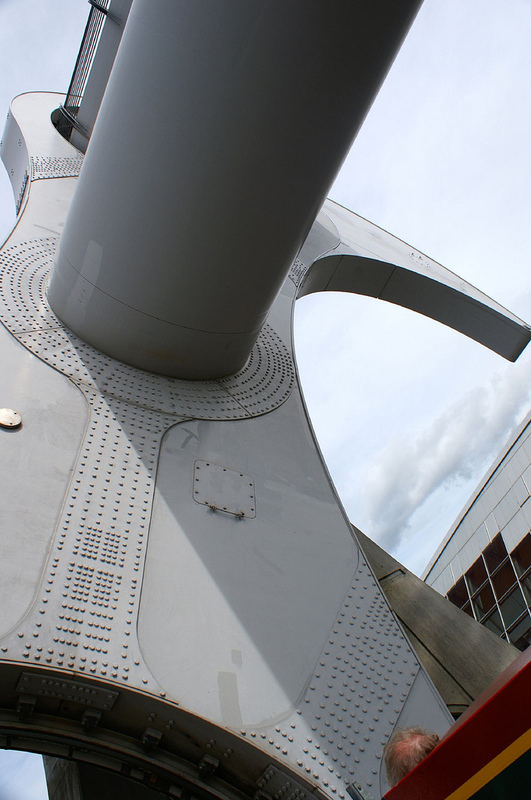 The wheel operates on the system of displacement, and very little energy is needed to turn it -- 1.5 kw. 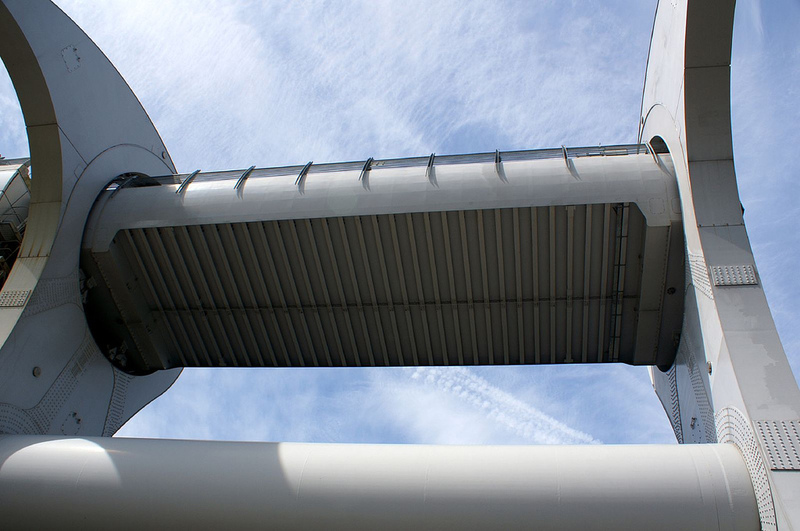 Boats entering the upper opening of the wheel, or gondola, are lowered with the surrounding water. The weight causes the gondola on the lower level, which is of equal weight to the gondola, boat, and water on the upper level, to rise up, essentially trading positions. When each gondola is filled with water and a boat it weighs 600 tons, which subjects the structure to an immense amount of pressure, especially as it turns. 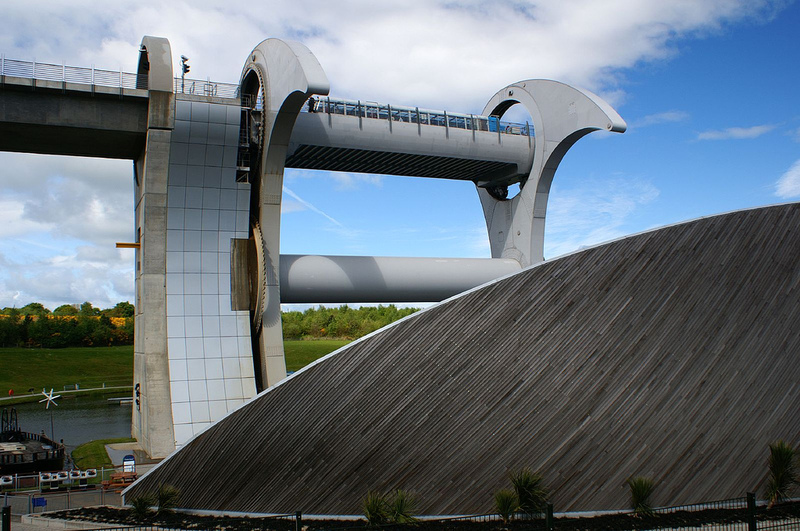 To keep the structure running smoothly, a team of on-site engineers carry out regular maintenance checks in addition to morning and evening checks, according to Falkirk Wheel representative Eleanor Muir. Daily inspection ensures safety for boat passengers, and monthly routine maintenance, such as wheel lubrication, keeps the wheel running smoothly. 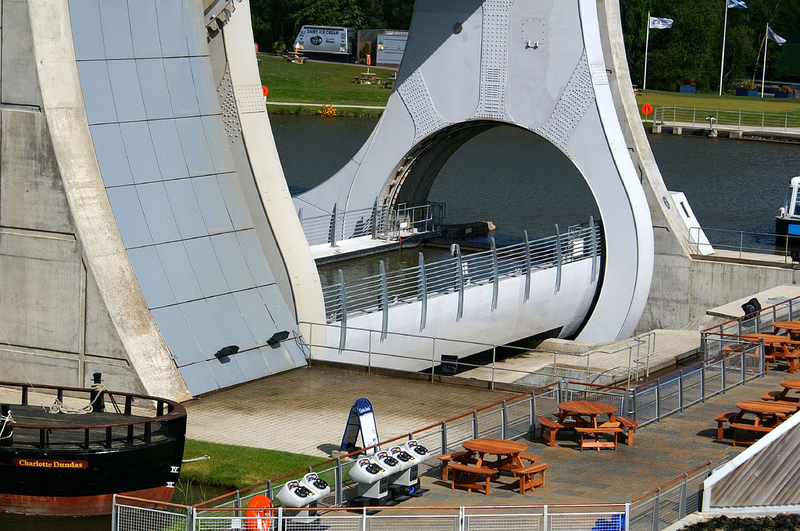 The wheel is closed down for approximately three weeks each year for essential maintenance routines on major components, such as pumps and valves, according to Martin. 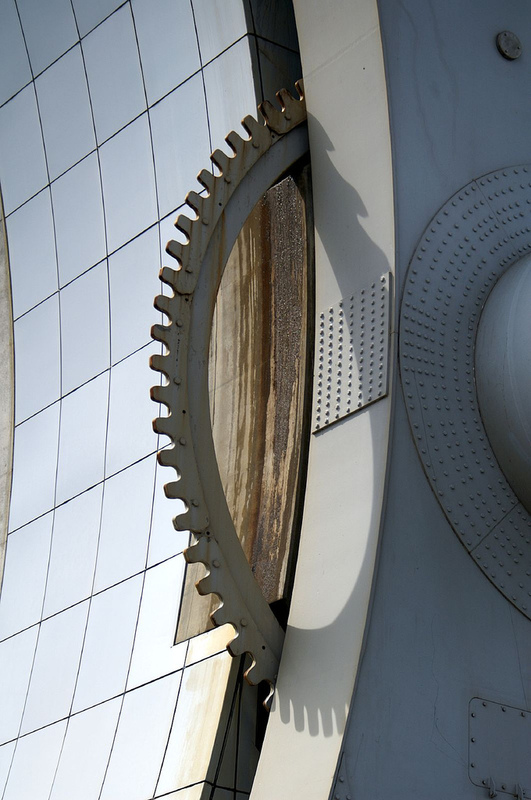 During shutdown, engineers are able to thoroughly examine the wheel and inspect the structure and make any necessary improvements. 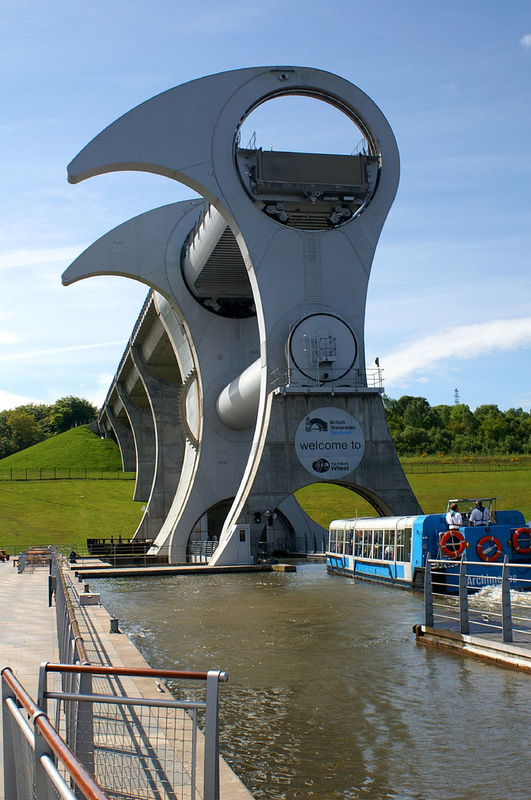 Youtube video showing how the Falkirk Wheel works.